Online Personal Trainer - This exercise can be performed on a Glute Ham Raise Bench, however finding one of those in a gym is extremely uncommon so we are demonstrating the version that can easily be performed on the floor at any Dallas gym. 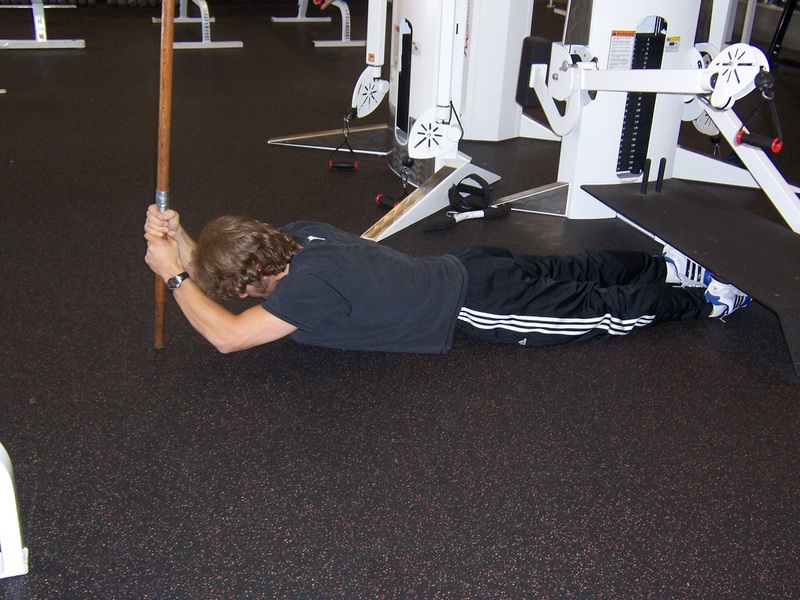 Its not common to see a personal trainer having a client perform this exercise primarily because it is a difficult exercise to teach and to master. This is a fairly advanced exercise. Lay face down on the ground with your ankles hooked under something solid to hold them in place, or if possible, have someone hold them down for you. 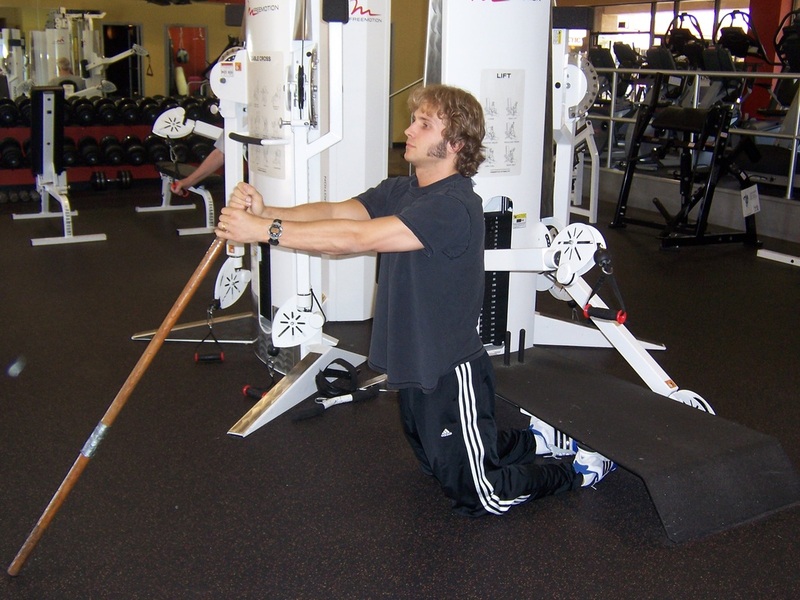 Keeping the body in a straight line from your knees to your head, pull yourself up by pulling with the hamstrings. Your back and core muscles will have to stabilize your torso and hips, while your hamstrings pull your body up. When your body reaches the upright position, slowly lower yourself back to the floor under control. Stop just short of the floor, and smoothly transition into the next curl. 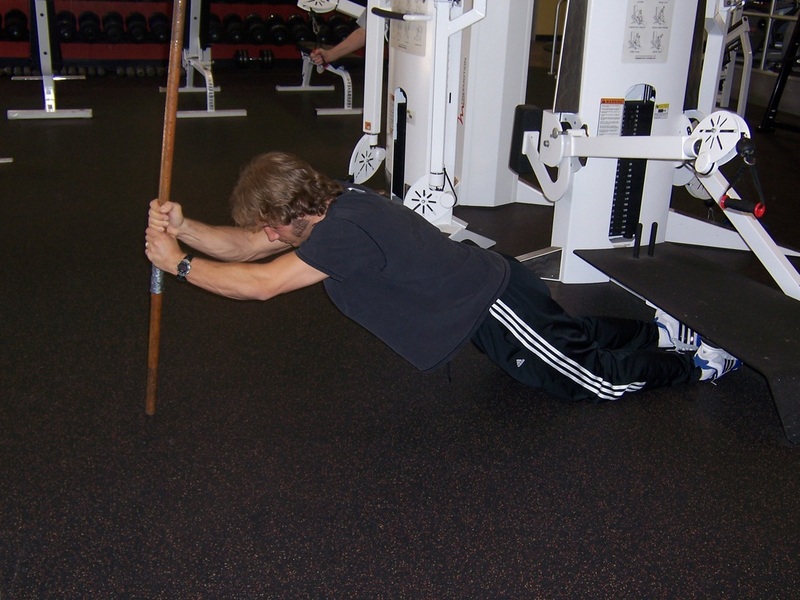 You will have to use a stick to assist you as pictured until you are strong enough to do it unassisted. 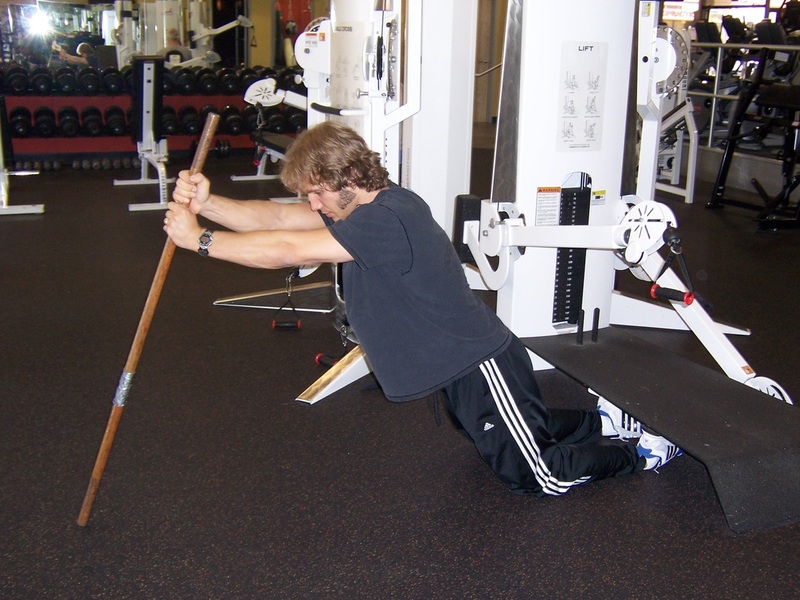 Just walk your hands up the stick, helping just as much as is necessary, and then slide them back down on the way down, trying to keep as much of the work on the hamstrings as possible. If your gym has a horizontal back extension bench, then use this instead and have someone help you lower and lift yourself.